The similarities in some of the videos produced by this eBay Employee bear a strong resemblance to many that attack critics on YouTube. Scott Henshaw. View his profile on linkedin. Critic eBayisaJoke produced this clip outlining his suspicions. OK Scott Henshaw where is the obituary? Put the evidence where your mouth is! I'm actually quite surprised a guy like you would get involved in this mess. HubcapJoes started it in order to save his eBay sellers account. 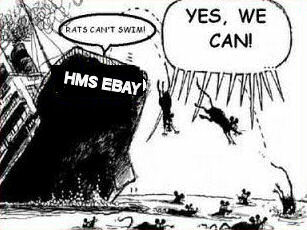 Now he has eBay Inc by the nutz and could sink eBay's ship but good if his account was suspended.